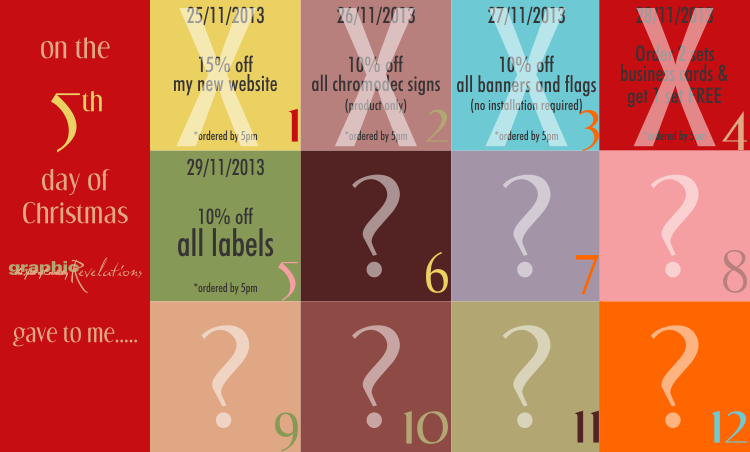 On the 5th day of Christmas Graphic Revelations gave to me….. Gift is valid on vinyl AND paper labels. THE SMALL PRINT: You must redeem this gift by 5pm today to qualify. This gift will not be repeated. You cannot use this gift in conjunction with another promotion. New artwork quoted separately.